Can you give us a little overview, tell us about Stream Geeks and what you guys do over there? Sure. Stream Geeks, essentially you need a little bit of a backstory here. We are a sister company with our camera line PTZOptics and Stream Geeks is sort of an ode to the way we go about marketing and our digital marketing strategy for PTZOptics. Stream Geeks is the marketing outlet where we teach people everything that they need to know about live streaming in hopes of collecting a database and a community of people interested in live streaming and we help them find the equipment necessary and some strategies to build their own online community with live streaming. And you guys are based in West Chester? West Chester, Pennsylvania. We moved out here about a year ago right around now is our anniversary of moving out here. And we found so many excellent opportunities being in the heart of town with some of the other small businesses in the area interested in streaming, so it's been a lot of fun. We're just sort of trying to show what can be done with live streaming to get businesses in the mindset of what they can do with technology and digital content and video and everything that is just moving so quickly in this industry. I'm curious about your studio and the technology that you guys are using in there? Well, of course, we use PTZOptics cameras because we are brand heavy with that as they are our sister company. But we do honestly love the cameras because they're great for showing multiple angles, different shots and they're also just in a comfortable price point for other smaller businesses like us. So, we have about 8 PTZ optics cameras a few of them are static cams a few of them are PTZ cams. I think they are all 20x optical zoom because we wanted the cameras to have the same lens. What else do we have in there? We have a custom P.C. built by Eastern Shore Broadcasting, our friend Tom Sinclair down in Alabama makes amazing custom P.C.s that are capable of doing really high-quality streams. We're actually having a new one built so stay tuned. When we build that one because we're definitely be showing that bad boy off. We use a few different streaming softwares, we use Wirecast and Vmix and OBS which is a free streaming software. We also have experimented with Newtek products as well as Xsplit. I'm not really familiar with Xsplit too much but I know my host Paul is. And you guys have a podcasting studio? We do. We just built that this year because you know we're still learning a lot about podcasting, but it just seems to hit a whole new audience that we wouldn't have been able to reach with video. A lot of people are listening to podcasts because they could listen on the go in the car or while they're grocery shopping and they don't really need to be in front of a computer or a screen to do so. So, we wanted to tap into that audience as well. How long have you been live streaming? Well actually I just had my own two-year anniversary here earlier this week which is so much fun and so crazy to think. I mean it just feels like yesterday that I started. But you know in the old office we had a little nook in our boardroom actually where we would get kicked out of all the time because people were having meetings in there but they gave us a nook where we build a little set to do some streaming from and that's kind of where it all started and we just realized over time that we needed more space in order to achieve what we were really trying to do here. So that's kind of when the move came into the picture. So, it's been about two years. And I think that Stream Geeks is just about a year and a half old now. I guess it was six months or so after I started with Haverford systems that Stream Geeks was developed. And in your time streaming, how would you say you've seen the industry grow? Oh my gosh it's ever changing. I mean, when I just came back from my 10-day Christmas break there's new things that weren't there before. Like Facebook Live just started right about when I started which was only two years ago and now it's one of the major outlets for live streaming and it's just insane to see how fast it's grown and how much it's grown. Legitimate businesses and government organizations and houses of worship and health care industries are going to that platform to educate and inform people about all different types of topics and that's just been insane really to see how it's taken off. As somebody with a constant eye on the streaming industry what trends do you think we'll start to see in 2019? We've been talking a lot about this lately on our shows and there's definitely some things that we foreshadow happening in the near or not so near future. We're thinking a little bit about 4K video production. We might see computers more capable in the upcoming future of handling 4K video quality and maybe some cameras coming out to match that resolution as well. So that's one of the things that we're foreshadowing for 2019. Another big thing is the continuation of the gamification of everything when it comes to live video. With the growth of Twitch for e-gamers we see it exploding beyond just EA Sports and businesses like ours and just content creators going to those platforms that can game-ify their content and make it monetary as well. We definitely think that we're going to see a lot happening there to promote engagement as well. We've also been talking about a lot lately is the growth of virtual ticket sales (see PTZOptics Virtual Ticket Sales Case Study). We've seen some smaller opportunities or events that are private streams a lot of them in the conference space. Like for example Darryl Eve's convention Vid Summit. 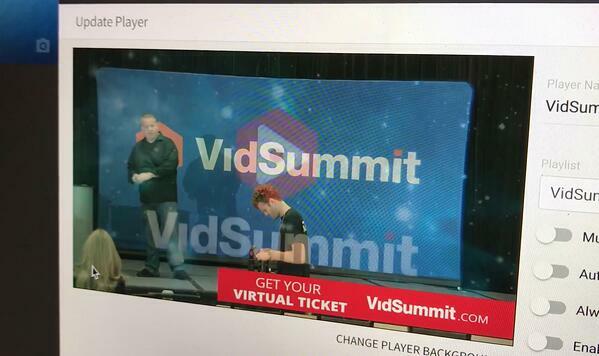 Vid Summit is a virtual ticketed event and we're thinking a lot about bigger names maybe musical performances opening the door to virtual ticket sales to extend beyond the reach of who they can fit in that venue and make a lot more money. I'm shocked that I haven't seen more of it as it is. I'm curious to see how that goes and what are people willing to spend to still see something live but through a computer screen? Yeah, I think of some of my favorite musical artists. I would probably spend $40 bucks to see a performance in California that I would never have been able to see and some of my favorite performers only cost $50 or $60 to see them live. So, I mean it's pretty close to right up there with in person if you would never be able to make it to that performance otherwise. So, let's see what else we have on. I'm trying to think about that we predict for 2019 maybe shopping on social media like QVC style or over the top streams which means a layer on top of the stream might have the product pop up while the streamer is talking about the product and you'll be able to click on top of the live stream and it might send you to Amazon or purchase page. I think that we might be fairly close to that. I know because people want to support small local businesses, but they might not know about you it's sometimes hard to get the word out or they don't want to follow you to your e-commerce site. If you are just having a social media presence and you're streaming about a product and somebody can click and purchase right within that social media platform. It's a really great way to get people's attention. I think finally I may just talk about just the continuation of interactive live streaming and the growth of that. We did mention gamification, but I just think that maybe more things like HQ that gaming show where they have their own app we might see some more things like that and I don't know who would create something but maybe a big name like Amazon or Google would create some sort of social media app or platform with interactive streaming involved. I don't know, but I just can see that happening. So, for people just trying to get into some of these things you mentioned or just trying to do a super basic live stream what are some of your best tips for someone to get into it? Well, for somebody just starting. I mean you have your best tool right in your pocket: your cell phone. You just kind of have to get started. So, you just use your cell phone use your selfie camera and go live to try and connect because it's about building real relationships with people and being transparent and open about who you are your brand, product, whatever you represent. So, it's about getting in front of the camera and just going live and getting over that initial fear and then you have tons of outlets like Stream Geeks and some of our other favorites geeks like Livestreaming Pros and all them that can teach you how to grow from there. 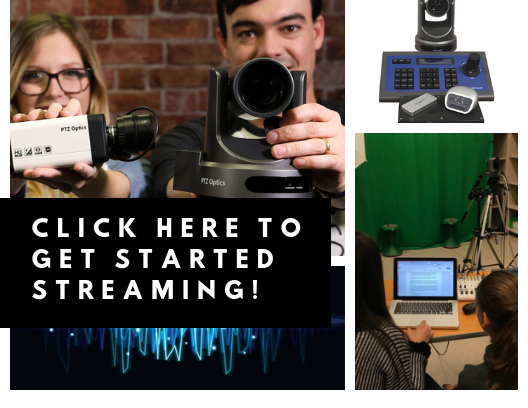 And as time goes on and as your budget grows you'll have all the tools that you need to learn about the equipment that's necessary for a more professional live stream. 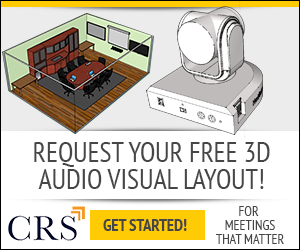 And then when you're ready to buy the equipment you've got companies like Conference Room Systems that can hook you up with everything you need. Well is there anything else that you'd like to add before we close? Anything else I'd like to add for 2019 before we close really, I'll just say what I always say in all of my emails and all of my social media posts, I hope to see you guys in the chat. 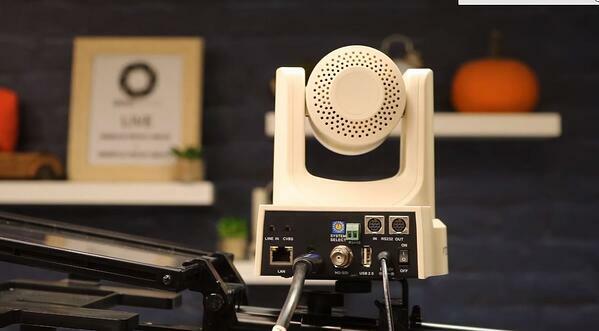 For if you'd like to learn more about live streaming and how we do what we do and podcasting like a great podcast like Conference Room Systems. You could find Stream Geeks on every platform. Learn more about streaming from our dedicated team members. Ask us anything! 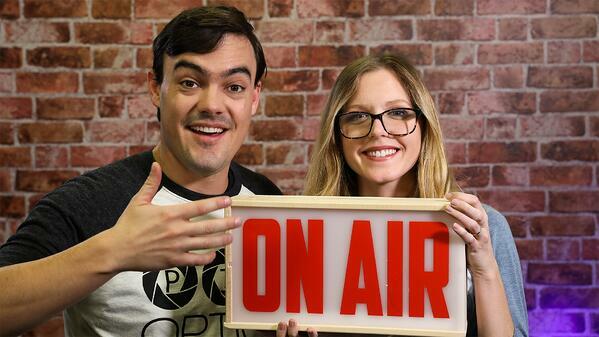 Check out the top 5 ways to live stream to YouTube here.